Explosive drama erupts when the life of a teen with a tortured past is jeopardized by her secret tattoo. Handwriting expert Claudia Rose joins forces once again with Detective Joel Jovanic, who is investigating a firebombing, a young woman found dead in a dumpster, and the disappearance of a journalist. The investigation heats up when Jovanic uncovers evidence that the same tattoo is linked to his cases. A good read on a winter day! 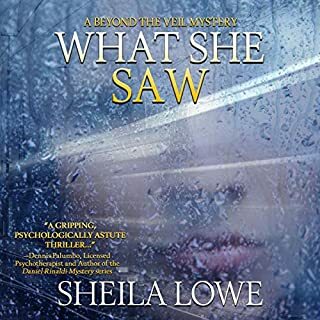 What She Saw is a audiobook of psychological suspense that follows a young woman through the terrifying labyrinth of amnesia, where no one is who or what they appear to be. Claudia Rose, Zebediah Gold, and Joel Jovanic of the Forensic Handwriting Mystery series play an important role in unraveling the web of mystery. When her student disappeared from a field trip, Elaine lost her job, her reputation, her identity, and her confidence. Twelve years later, the girl's distinctive pendant necklace turns up in a current newspaper photo of another young girl. Mark's always been a bit insecure as a father; his own childhood sucked. He's been terrified he will ruin his perfect daughters. So he buys them presents and hopes he won't screw them up. They certainly won't forget this dollhouse. He doesn't know how to stop it, and all he wanted to do was be a good father. He was worried they'd grow up to hate him; now he's worried they won't grow up at all. Hours before the opening of her career counseling practice, Gilda Greco discovers the body of golden girl, Carrie Ann Godfrey, neatly arranged in the dumpster outside Gilda’s office. Gilda’s life and budding career are stalled as Detective Carlo Fantin, her former high school crush, conducts the investigation. When three more dead blondes turn up, all brutally strangled and deposited near Gilda’s favorite haunts, she is pegged as a prime suspect for the murders. This is a collection of the first four titles from the Jake Stark Mysteries series with a short bonus story. It includes The Gorham Vampire, The Burning Town, Whispers of the Lost, Heart of Ice, and A Jake Stark Christmas. Sunny Vale considers herself a dog-loving, romance novel-loving homebody. But her life goes from dull to deadly when her book club fires her from her own love life and sets her up on six blind dates - one of whom might be with a murderer. 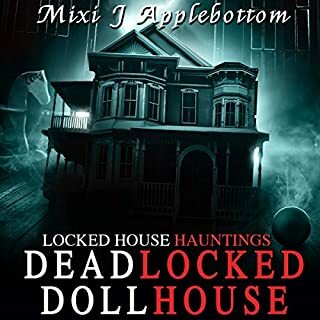 More trouble arrives in the dead of night, in the form of Jake Landon, a mysterious stranger, who breaks into her neighbor's house and possibly her heart. But Jake is packing more than a loaded gun in his well-fitting Levi's. He brings an arsenal of secrets and plenty of heat to Sunny's ho-hum summer. A talented Irish musician reluctantly reinvents himself, disappearing into an undercover identity to search for the man who ruined his career: his own brother. On a journey from the west of Ireland to the tumultuous city of Mumbai, Conor McBride's only goal is to redeem the brother who betrayed him. But he's becoming a virtuoso of a different kind in a dangerous game where the rules keep changing - and where the allies he trusted to help him may be the people he should fear the most. A giant wildfire is roaring through Colorado's Flat Tops Wilderness. The massive blaze is wiping out Allison Coil's precious hunting grounds, and the flames have set their sights on the beautiful ranch owned by her boyfriend's family. Allison and longtime friend Trudy are shocked to learn that a body has been found in the fire ravaged forest - a friend who was a reclusive environmentalist with an unorthodox idea for the battle against global warming. Along with reporter Duncan Bloom, Allison burrows into an underground group of anti-government extremists. REALLY COOL MYSTERY THRILLER - LAKE OF FIRE! Why, oh why, did Anne Marie Whitehall take her own life, swallowing away her pain and her grief with a handful of Nembutal capsules and a bottle of Merlot? Does Samantha Jacobs, the red-haired vixen grinding away on a pole at the Revue know? Or perhaps Deena Cook, harried mother of four and a regular visitor at Children's Services? 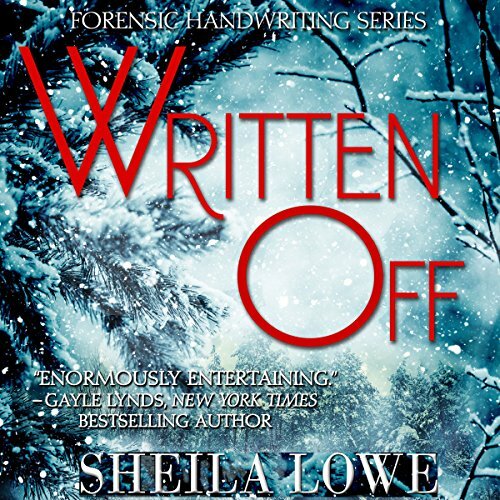 In the dead of winter, handwriting expert Claudia Rose journeys to Maine to retrieve a manuscript about convicted female serial killer, Roxanne Becker. The manuscript, written by Professor Madeleine Maynard, who was, herself, brutally murdered, exposes a shocking secret: explosive research about a group of mentally unstable grad students selected for a special project and dubbed “Maynard’s Maniacs”. Was Madeleine conducting research that was at best, unprofessional - and at worst, downright harmful and potentially dangerous? Could that unorthodox research have turned deadly? Claudia finds herself swept up in the mystery of Madeleine’s life - and death. But Claudia soon realizes that Madeleine left behind more questions than answers, and no shortage of suspects. The professor’s personal life yields a number of persons who might have wanted her dead, and her academic success and personal fortune clearly made her the envy of fellow faculty members. The university anticipates being the beneficiary of Madeline’s estate but that seems in question when a charming stranger, claiming to be Madeleine’s nephew, turns up brandishing a new will. The local police chief prevails upon Claudia to travel into town to examine the newly produced, handwritten will. Rushing back to Madeleine’s isolated house to escape an impending storm, Claudia becomes trapped in a blizzard. With a killer. All the elements of a good Mystery. This Audio Book is a hybrid of a Mystery and thriller with suspense and a glimpse into handwriting analysis. a different view of the characters being observed.It makes for an entertaining and interesting read. The Narrator the key to any good Audio Book gives a great performance. This is book seven in the series so I'm really late to this party. At least I'm finally here. What a great concept for a mystery! I had to do some catching up to get info Claudia, Zebediah's, and Jovanic's world but this was still a complete listen. The mystery had so many movable parts that the whodunnit, which made perfect sense, was still a complete surprise. I loved the narrator. Crowe was tasked with creating quite a few different personas and she didn't miss a beat. I may go back and listen to some earlier books but I will definitely be on the lookout for any new books in this series. LOVE FORENSICS, LOVE MYSTERIES, LOVE THRILLERS! Good stuff! This is the first in the series I've listened to, but I really liked it! Liked the writing, characters, story, and narration. I was captivated from beginning to end, enjoyed it! I'm a huge forensics, mystery/thriller, and true crime fan, so I was very entertained! I'd definitely recommend it to others, great whodunit! I was a little hesitant about a book with a handwriting expert as a protagonist. But that concern was soon a distant memory. The story is great and it moves along at a great pace. I found myself listening for longer than I'd planned because I was so immersed in the story. This book was interesting, it held my attention with it’s twists and turns. I love history, so the references were great too. I liked the Narrator as well. 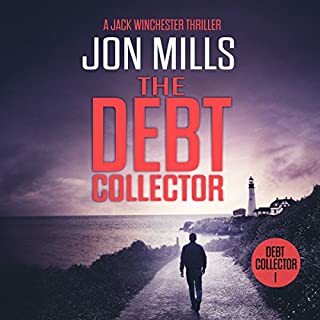 Smart, interesting characters, a complex plot with just the right amount of twists and red herrings, and enough suspense to keep me riveted. I probably read 2-3 mysteries a week and this once stands out for its quality in all areas, including the prose style. The handwriting analysis concept and the setting (I'm a sucker for an academic setting) drew me in, the great writing kept me hooked. I'm going to seek out the rest of the books in this series. LOVED the narrator too, I hope she narrates others in the series. 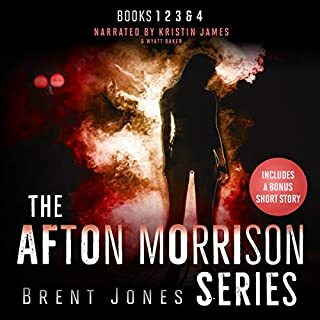 Although I haven’t listened to any other audiobooks in this series, I enjoyed listening to Written Off. It was a well written mystery with an interesting twist. Also, the narrator did an exceptional job with both the male and female voices. I recommend this audio. Excellent story and very well read! Sheila Lowe never disappoints! Love her work! Written Off is perfectly narrated. Listen to this audio! "Written Off" is a book I listened to when I started exercising. Every day I would walk further because I wanted to know what Claudia Rose had gotten herself into from one moment to the next. It was just too difficult to stop listening, so on I walked. There were times the depth of the storyline, regarding a female serial killer, named Roxie made me gasp or even tear up because her interview and background were jaw dropping. The descriptions about the characters and their handwritings were specific, and fascinating, very detailed. Throughout the entire story I tried to guess which direction it would take, and I was surprised every time. Sheila Lowe's ability to pull the reader right into Claudia's adventures makes me absolutely certain I will be buying her next audiobook, ASAP. It must be said, Lowe knows how to tell one heck of an engrossing story. I enjoyed this book immensely from two points of view. Firstly, as a handwriting analyst, I enjoyed how cleverly and profoundly handwriting analysis was interwoven into the story and used to enhance the depth of each character. And secondly, I was captivated by the whodunit mystery with twists and turns that unfolded masterfully till the very end. The reader also had an enjoyable, clear voice that suited the main character. I highly recommend listening to this book. Sheila Lowe have really surprised me with her beautifully written story, coupled with Anna Crowe narrating a real masterpiece was born. I was so sure that this won’t be my kind of a book and wow how I was wrong. I’ve learned so much about hand writing and much more, great surprises and twists that kept me listening with a big difficulty of taking breaks. 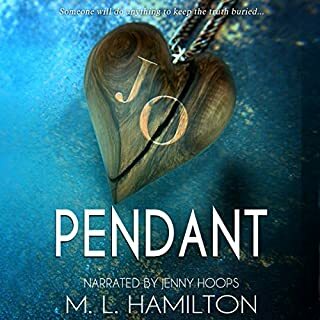 I hope that more audiobooks by this author are on the way, I’D love to review each and every one of them. I fully recommend this book to all. I believe that my review was honest even so that I got the book for free. I have been following this series and I enjoy every one of them. Very entertaining series and good narration. Written Off is an enthralling book. Every chapter leads the listener on so that one cannot turn off the recording until one finds out who killed the Greystones professor and what the connections are with the mass murderer, Roxanne Becker. Not only is the book a delight for mystery book readers but it is essential reading for those interested in criminal psychology, handwriting examination and graphology, as it is full of fascinating insights. 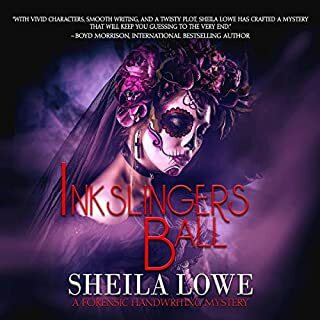 The author, Sheila Lowe, has not just read about these subjects; she is a real professional, like the heroine of her book. So if someone is interested in becoming a professional in the subjects inter-weaved throughout the story, listening to this book is a must. With this book and the others in the series Sheila Lowe has created a heroine, Claudia Rose, who has gained the stature of a Miss Marple. I suggest that Netflix or the BBC buy the books and make a television series. Handwriting shows potential, not outcome. Female serial killers are rare. The professor at a small university in Maine who specialised in abnormal clinical psychology and murderers in particular, was near the completion of her book, The Making of a Serial Killer, when she was found dead, apparently herself a murder victim. With a three month deadline to meet, Maddie's publishers ask her long time ex husband if he will finish it on her behalf. He agrees, but, unable to travel, asks his good friend and and writing expert, Claudia Rose, to fly to Maine on his behalf to both collect the manuscript and visit the subject of the book, the still imprisoned and notorious Roxanne Becker, for a final interview. So Claudia finds herself in cold and snowy Maine, just after Christmas, living in Maddie's cottage close to where she died, with the problem of locating the author's missing notes. This well written and crafted novel, presented in the third person but from Claudia's perspective, is intriguing from the beginning. Who might have murdered her, and why? The addition of the small group of Maddie's Misfits, also called the Maniacs, several students especially loyal to and tutored by the dead woman, expands the number of interested protagonists and collegic jealousies and politics further increase the possibilities. As Claudia looks at the handwriting of a number of those closely associated with the author, it quickly becomes obvious that something was not right. This excellent audiobook is narrated by the talented Anna Crowe, who's pleasant, well modulated voice is warm and full of expression. She matches the pace and emotional impact of the text with precision and, although the protagonist's vocal definition is mostly only slight, it is sufficient to be both distinctive and further add character to an already well defined set of players. As a very interesting aspect of the story, the reader is also introduced to the basics of handwriting as a means of understanding personality and possible psychological strengths and weaknesses. My thanks to the rights holder of Written Off who, at my request, freely gifted me a complimentary copy, via Audiobook Boom. I had not read any of Sheila Lowe's books previously and feel most fortunate to have now discovered her. I look forward to reading more of her novels in the future. A very enjoyable story, well written and narrated. Recommended.